John W Henry gave us a great insight into the world of player transfers and get out clauses recently. He was talking about Arsenal’s embarrassing pursuit of Luis Suarez last summer. “We realised contracts in football don’t really mean anything, so we chose to ignore it.” I paraphrase slightly but this was the gist. We all hailed his approach. Here was a player showing us the ultimate disrespect by demanding to leave us after all we had done for him. Then to add insult to injury we had some club from London taking the proverbial with a ridiculous bid. How dare they? How dare he? Of course we forgave Suarez and the adulation he received from the Kop rose to new heights last season. Now we are back where we started and we really don’t like it. There is so much cynicism in football today that you can’t blame supporters for tiring of it. Apparently the average wage in the UK is around £26k per year. Therefore, it should come as no surprise, when fans ‘kick-off’ in the face of such disrespect. After all it’s their hard earned cash that helps to inflate those supersized salaries. Of course Liverpool fans are not on their own in this respect. What must Southampton fans be thinking this morning? They have already watched three of their stars leave the club and now they have another agitating for a move. They may have forgiven Lambert. After all he left for his hometown club. Who could begrudge him that? He also spoke glowingly of Saints fans. Lallana also left with dignity, paying for a full page thank you letter in the local paper. 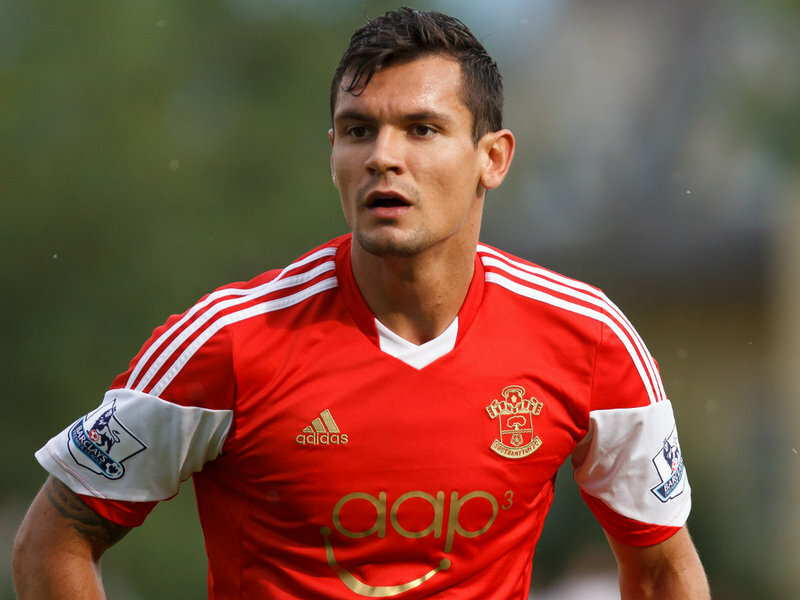 Sadly the same can not be said for Reds target Dejan Lovren. We woke this morning to read reported comments the player made in an interview with ESPN. He spoke glowingly about Liverpool and The Kop but not of the team he is under contract with. He did claim a change of direction and broken promises were behind his rant, but that will cut little ice with Saints fans. Many of our supporters have taken to social media to register their approval. Is this not a little hypocritical? The ‘Saints’ were a revelation last season, playing some great football. Nobody could have predicted their final league position last August. It’s because of this that their key players received international call ups. It’s also the reason that Liverpool noticed Dejan Lovren. This is a fact apparently wasted on their central defender. He owes his club and supporters far more respect than he has shown them. Southampton have every right to hold him to his contract if they so wish. It is also their duty to maximise any potential fee if they choose to sell, just as Liverpool are seeking to do with Suarez. His head might be in Liverpool but he owes Southampton some respect, at least until a deal is done. This may all sound a little naive. After all sometimes we benefit from it sometime we lose. Maybe this is just all part of the dance, but I have to say I’m not Lovren it.